If You Haven’t Had A Dental Checkup for more than 6 Months Don’t Put It Off Any Longer. Your Health Depends On It! In addition to daily brushing and flossing, you can help defend your oral health by visiting our dentist office for a regular cleaning. Depending on your dental history we recommended that most patients get a dental checkup every six months. We can tell a lot about your overall health, including developing signs of other more serious overall health concerns. Recent research suggests that the overall health of your mouth reflects the condition of your body as a whole. Examination. Dr. McOmie will examine your teeth, gums, and mouth, to look for changes or signs of a problem like a cavity, gum disease, an abscessed tooth, gum recession, tooth decay, oral cancer, etc. During the examination, Dr. McOmie will use a specialized probe to measure the spaces between your teeth and gums, an explorer tool to inspect your teeth and determine if any cavities are present, and a mouth mirror to get a better view of the sides and back of your teeth. Part of every examination includes a Veloscope exam free of charge looking for oral cancer. X-rays. In order to look for decay, gum disease, or other dental problems we may need to take X-rays of your teeth. Cleaning and polishing. 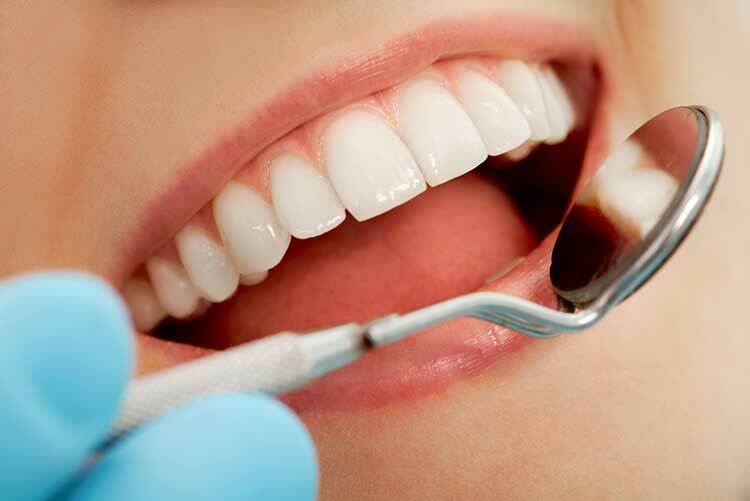 Our trained dental hygienist will use a special instrument called a hand scaler or ultrasonic dental instrument to scrape and remove the tartar from your teeth. We will then polish your teeth, often with a rotating rubber cup or brush, to remove any residual stains or plaque. Our hygienists are experts at using air polishers. Air polishers project a gentle stream of water and a special cleaning powder. You won’t believe how smooth and clean your teeth feel after air polishing. If you have a stain on your teeth Air polishing is very effective and the most gentle way to remove this stain. Education. After the cleaning, our hygienist will discuss any dental hygiene issues that were detected and if necessary, show you how to brush and floss more effectively. They will recommend any aids and products that might help you if incorporated into your dental hygiene home regime. Since your oral health is closely related to your overall health, it’s important to mention any concerns or issues you are having with Dr. McOmie during your next visit. Discuss any new health problems you have been diagnosed with since your last visit (for example, diabetes or heart disease) with Dr. McOmie. Make a list of all medications and supplements you take, including their dosages so we can review it. Let Dr. McOmie know if you typically experience dental anxiety when visiting a dentist. 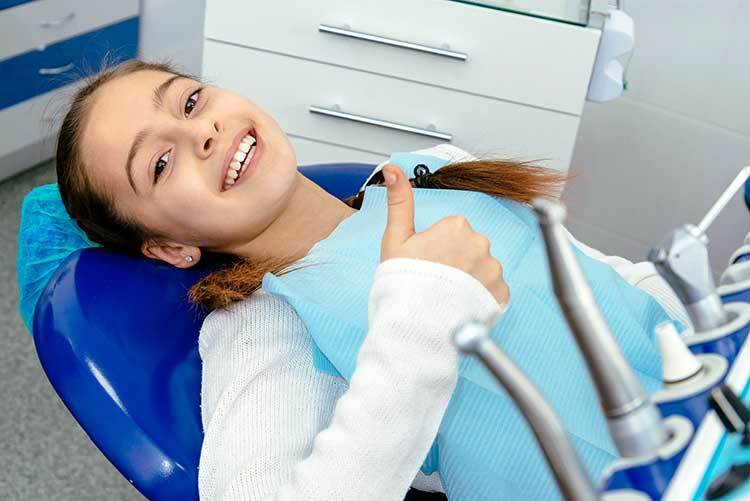 Fear of the dentist is common, and we are great at making patients feel more comfortable during your checkup. Speak with Dr. McOmie about any issues or changes you’ve noticed with your teeth, gums, or the inside of your mouth. The earlier your dentist knows about pain, sensitivity, or a suspicious lump, the quicker we can diagnose and treat it. DON’T DELAY SCHEDULE YOUR CHECKUP TODAY!